Content that informs, adds value and engages readers. I’ve come to see over the years that in an increasingly crowded social media content space it’s an added benefit to create and stay with a signature post. That is, if it continues to speak to readers. For the past few years I’ve been writing articles about social media and developed a personal style, 26 Tips: An A-Z Guide, that has become my signature post on Social Media Examiner. 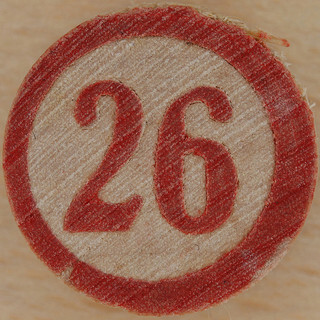 Last week while at Social Media Marketing World, #SMMW13, a woman introduced me to her colleague as Social Media Examiner’s “26 person.” The woman graciously shook my hand and immediately inquired, “Why 26?” Hmm, good question! I’ve been writing these posts for so long that I had to stop and think a moment. I realize this: blogging, like other types of writing, needs to have an organizing principle. Something that helps the writer structure the material in a meaningful way. Helps determine what to include and what to omit. What the writer wants to introduce, reinforce and help the reader take-away specific messages. And, a way to catch the reader’s attention from the get-go. Then I make a list of words, from A-Z, that help categorize the tips I want to explore in the article. Some letters are tricker than others, e.g. X, Z, and that becomes part of the extra challenge, too. I have to make a number of choices a long the way. For instance, in my last article, 26 Ways to Use Visuals in Your Social Media Marketing, the letter “V” would have been a perfect opportunity to discuss video but instead I chose, Visual Content Types, so that I could include comics and memes. The 26 Tips articles have been well received and are one of my favorite articles to write. I’ve come to see over the years that in an increasingly crowded social media content space it’s an added benefit to create and stay with a signature post. That is, if it continues to speak to readers. Do you have a signature article type? Or, a particular preference for one over another? Share your comments in the space below. Deb Hemley | Content Strategist & Social Media Coach Create a free website or blog at WordPress.com.